Where Can You Buy SureSwatch Temporary Paint Swatches? Congratulations, you have narrowed down your color selection to a few of your favorite shades. Now you are ready for the final step of the process; trying your paint color on your wall. This is the reason we invented SureSwatch. You no longer have to struggle with that final step; visualizing the paint color on your wall. Now, the question is — where can you buy SureSwatch? 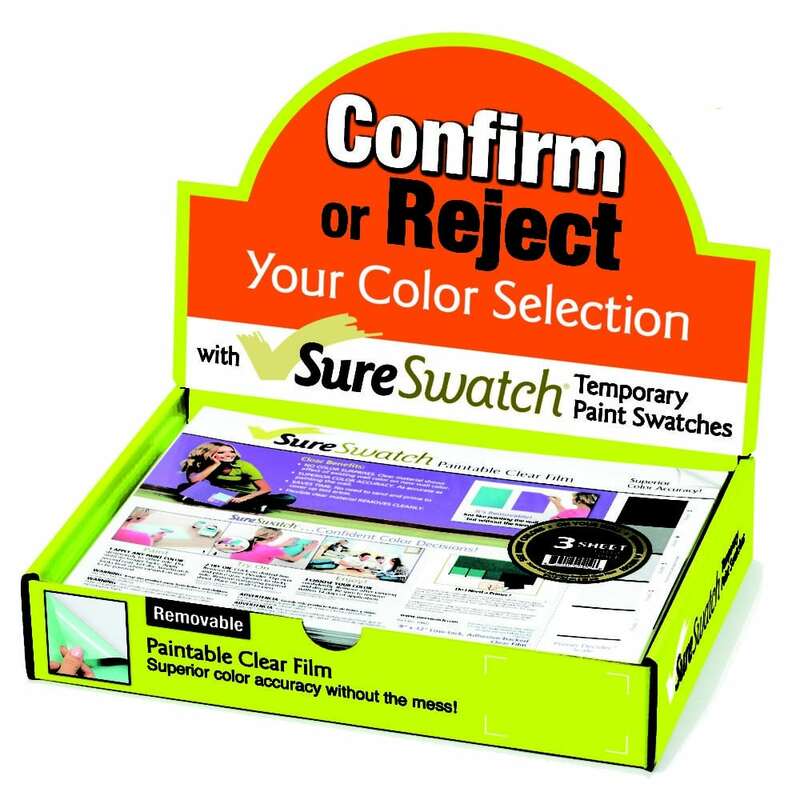 SureSwatch is sold in a 3-pack because we know most people like to try a few colors. Each sheet is 9″ X 12″. The best part about using a SureSwatch there is no mess left on your wall! Find SureSwatch in stores and online at Home Depot, Walmart, and Ace Hardware. SureSwatch is a paintable, removable clear film that allows you to try your paint colors on your walls, without painting directly on the wall. SureSwatch brings back the fun to picking paint colors, providing color accuracy even with those sometimes troublesome bright and vibrant colors. 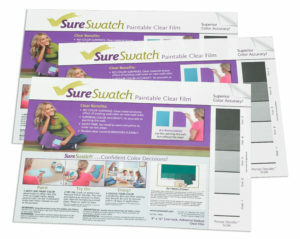 Best of all, you don’t have to live with permanent color patches painted on your walls because the painted SureSwatch removes easily and cleanly. Just paint your SureSwatch temporary paint swatch and apply it to the wall. There are no surprises because the clear film shows exactly how the new color will appear when applied on top of your existing wall color. Painting a test patch on white cardboard just can’t do this! More of a visual person? Click here for a step-by-step video on painting with SureSwatch. And if your color doesn’t look like the manufacturer’s color chip, the paint probably has poor covering power. Looking for Sure Swatch in your area? Contact us at info@SureSwatch.com with your address and we can check the availability in your area.